Captain Grub for bewitching burgers and more - CHOMP! SLURRP! BURP! 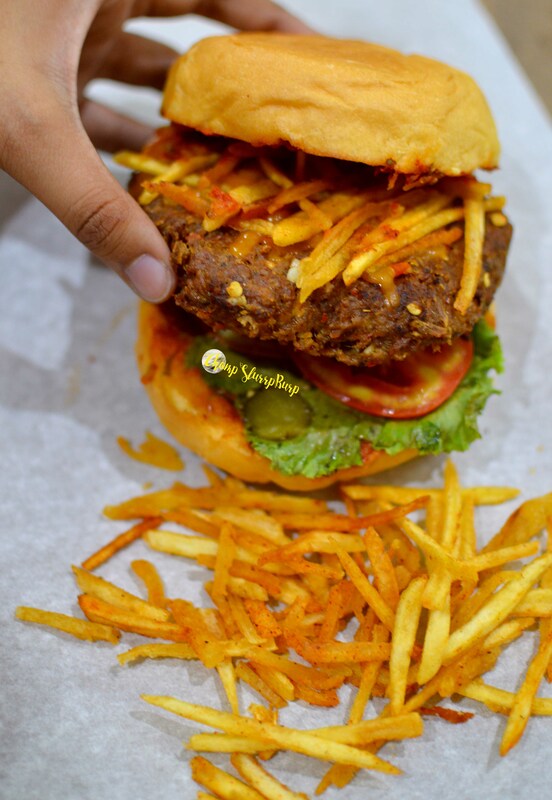 Captain Grub on a previous occasion has rescued me from pangs with their huge burgers and delish American and Tex-Mex grub (Check here) They have huge burgers, classic Amreeki munchies, appetizing mains and beautiful dessert jars. Started this meal with their Cuban Frita – a Cuban favourite. A huge burger with an enormous minced lamb and pork patty with Captain’s secret spice rub. 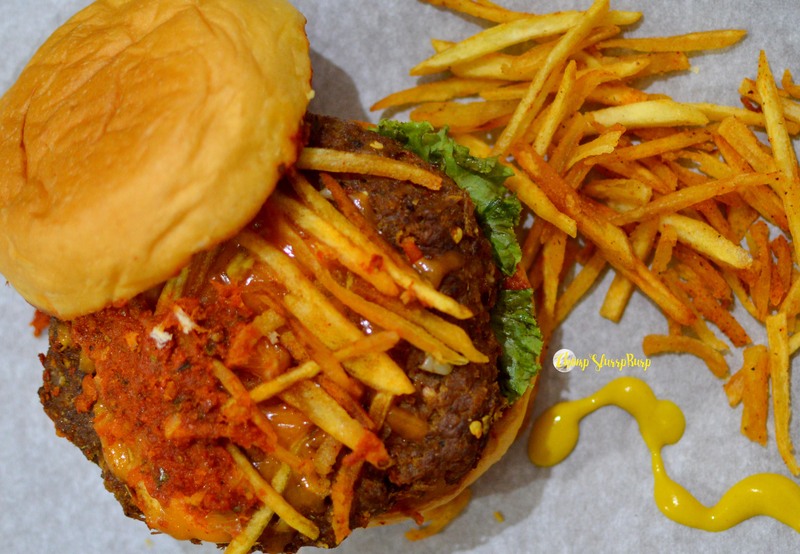 Lined with lettuce, tomatoes and pickles and topped with melted cheddar and shoe string fries, the colossal burger was a meat lovers haven and so very appetizing. Served with some more shoe string fries – finely cut potato fingers and crispy fried, this made for one hell of a bite. 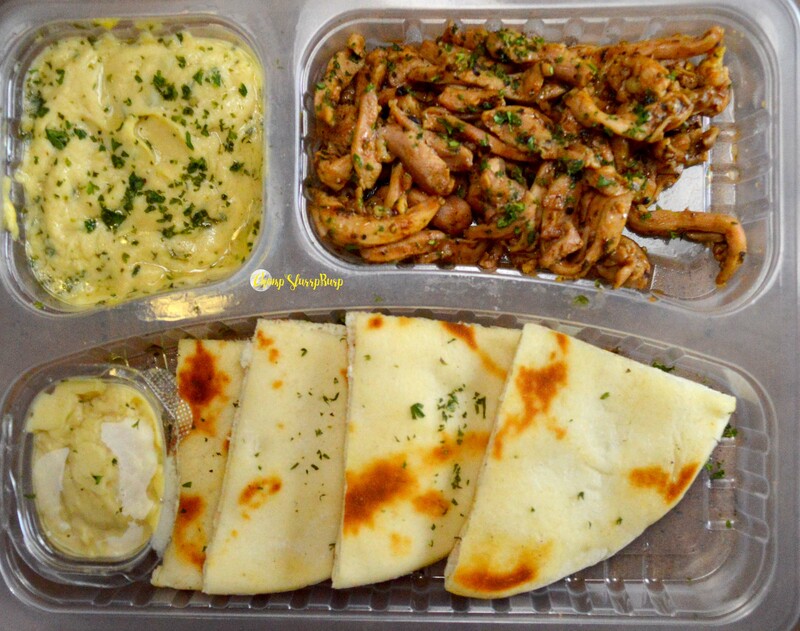 Duo of hummus with chicken stuffed pita – toasted pita bread served with fresh hummus and shards of herbed chicken. Succulent strips of chicken boded well with crunchy pita. The hummus was quite refreshing although one would have expected a bit more quantity of the chickpea dip. 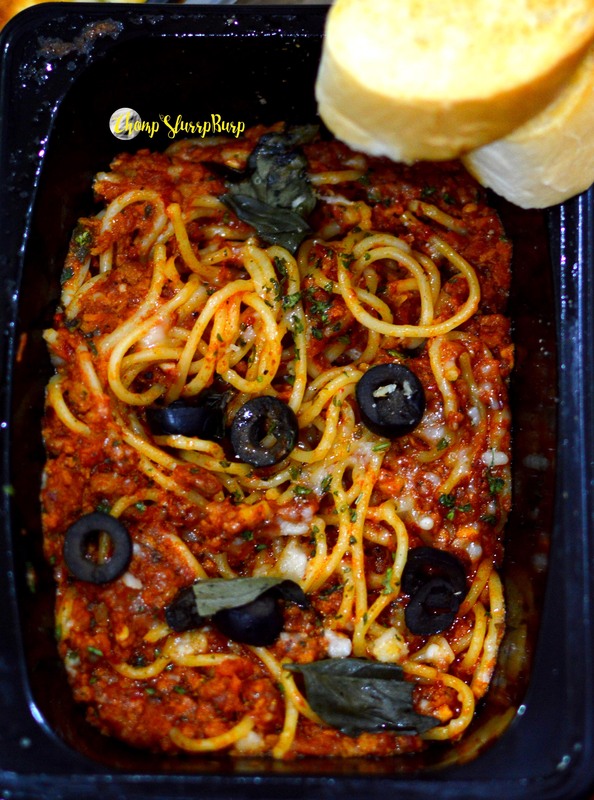 Spaghetti Bolognese served with buttery fresh garlic bread – spaghetti done al dente, tossed in ground lamb, tantalizing sauce topped with parmesan, olives and basil leaves. The pasta is a beautiful preparation with balanced spices, satiating meat and pasta done to perfection is very palatable whip. 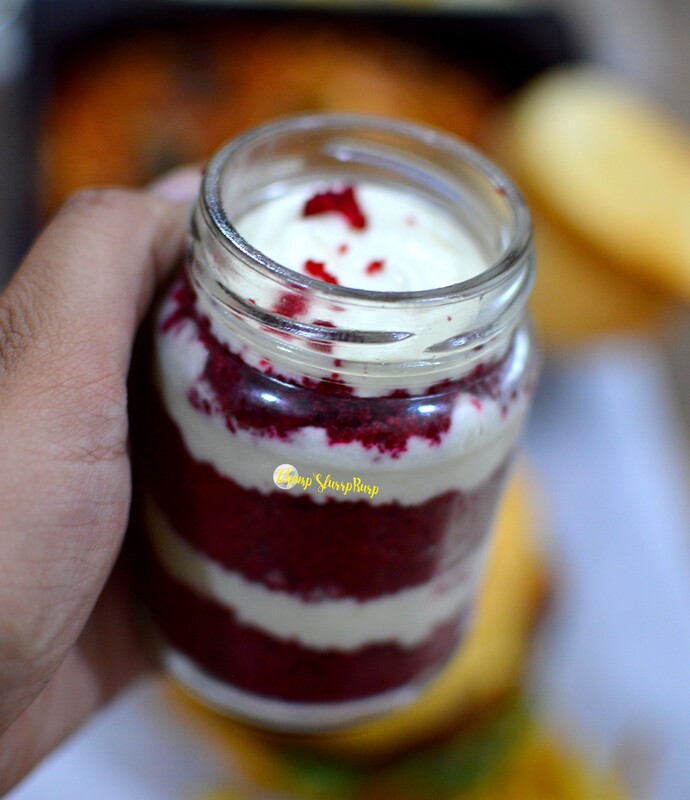 End your meal with their dessert jars – while salted caramel is my fav, I tried red velvet this time and loved it to the core. Pretty much a fan of all the deliciousness that Captain Grub offers, but their burgers and now spaghetti bolognese shouldn’t go amiss.